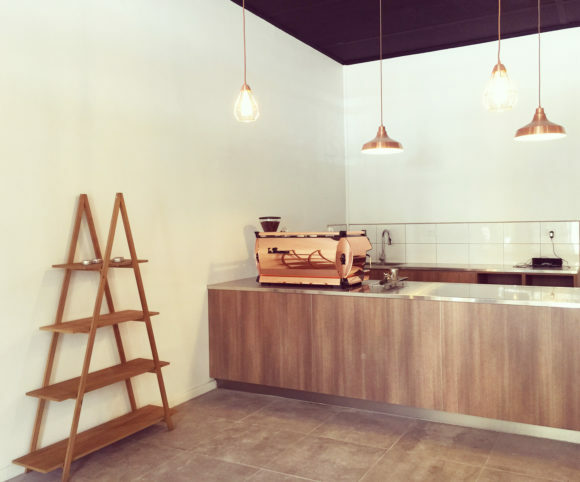 The cafe fit-out is located in Mulgrave. It focuses primarily on delivering quality and specialty espresso coffee and a niche menu consisting of gourmet jaffles and exotic sweets and cakes. The cafe is intended to be a “grab and go” stop for workers around the area. The design aims at provide maximum flexibility for the space arrangement with minimal design aesthetic, movable furniture and industrial finishes. The strategy is to bring in outside activities into the front area and at the same time extending internal seating to pavement area.